Just in time for the first snowfall of the year, we received a complimentary pair of Udoo Planet's FlippMitz to try out. 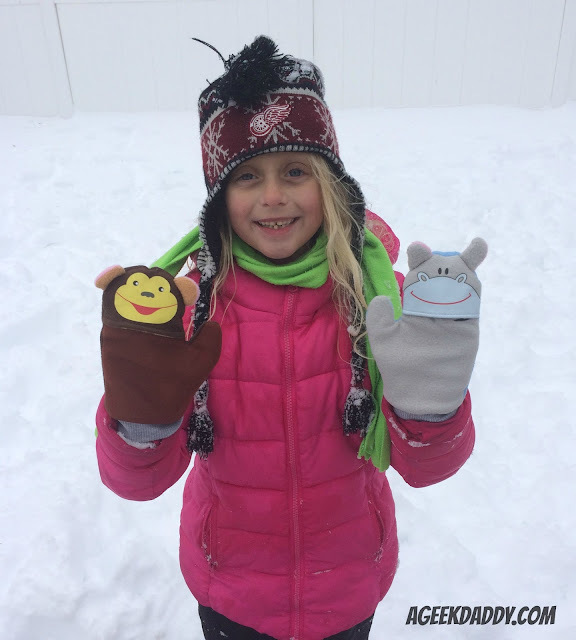 These FUNctional mittens keep kids' fingers warm in the winter but are also wearable toys as each pair provides 8 combinations of hand puppet characters to play with. 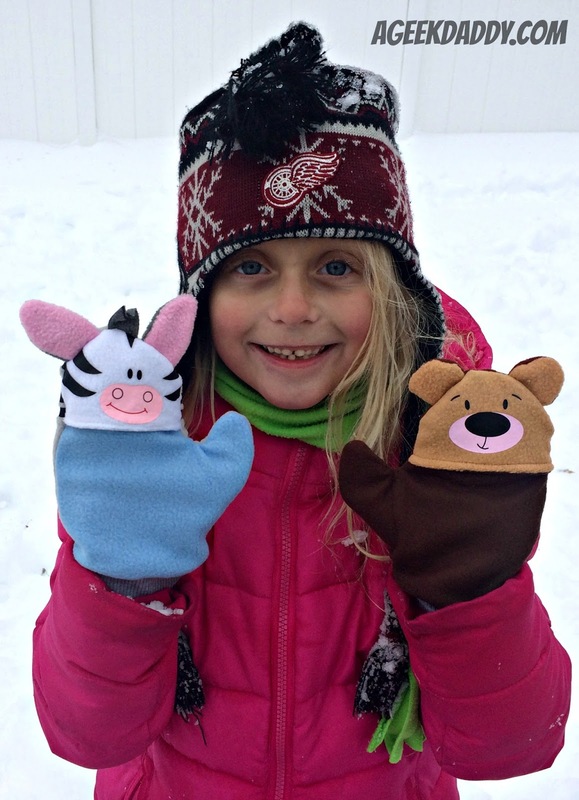 Take them outside to play in the snow or use them indoors for a puppet show. The JUNGLE set my daughter has features bears, hippos, monkeys and zebras. Flip the mitten around or flop its top to view different characters. Other themed sets available include FROM THE FARM (cows, ducks, horses and sheep) and FAMILY PETS (dogs, cats, rabbits and fish). 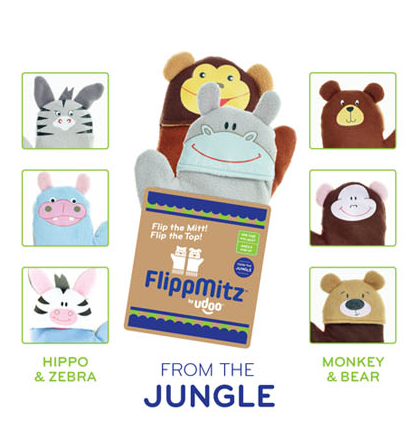 With quirky imagery and colorful patterns, FlippMitz inspire creative play and make it fun to wear mittens when it is cold outside. Made from stretchy fleece and cotton knit lining, FlippMitz are made in one size that will fit most children between the ages of 5 and 10 years old. Machine washable, they are also easy to keep clean. If you are looking for some unique mittens that your child will enjoy showing off to his or her friends and not give you a hard time about wearing, check out Udoo Planet's FlippMitz. My 7 year old daughter absolutely adores her pair. Udoo Planet has developed a reputation for creating high-quality clothing that are wearable toys. For more information about FlippMitz and Udoo Planet's other FUNctional clothing items, please visit udooplanet.com.